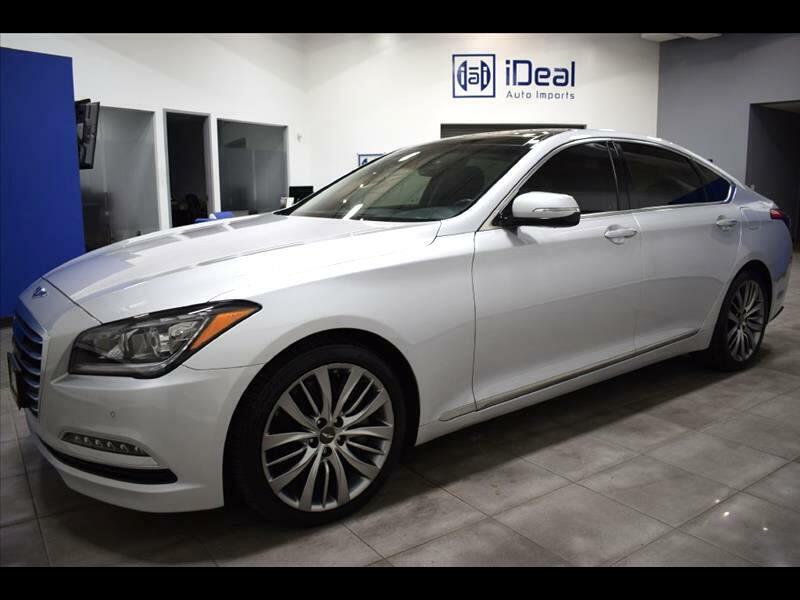 1-Owner lady-driven trade-in 2015 Hyundai Genesis 5.0L fully loaded with Blind-Spot Detection; Lane Departure Warning; Premium Sound; Smart Cruise Control; Navigation; Parking Sensors; Heated/Ventilated Seats; Bluetooth; Backup Camera; Panoramic Moon Roof; HID Headlamps. Silver exterior with Black leather interior. Fun to drive V8. MSRP $52,675. Comes with 1 months/1,000 miles limited warranty. Indoor auto showroom. iDeal Auto Imports, meeting your auto needs with quality and value! Conveniently located at 7980 Wallace Road. Eden Prairie, MN 55344, we offer a desirable mix of quality used import cars at competitive price. All of our vehicles are stored indoors, fully inspected, come with a free carfax report and backed up with powertrain warranty. Visit us online at www.idealautoimports.com to see more pictures of this vehicle.